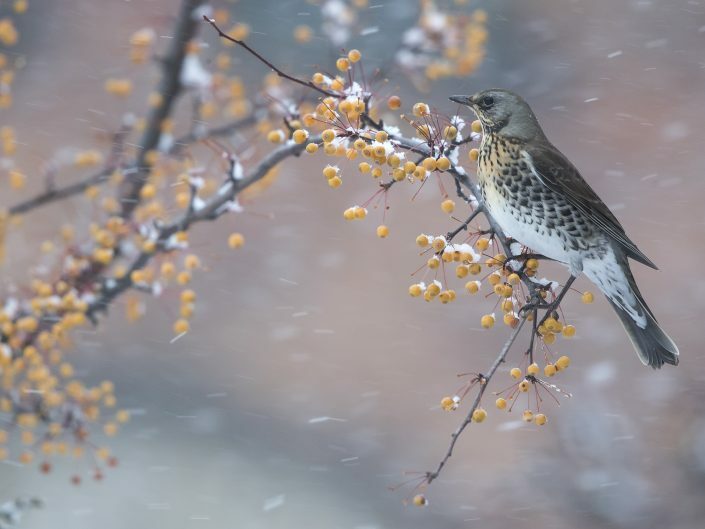 is a member of the thrush family Turdidae. It breeds in woodland and scrub in northern Europe and Asia. 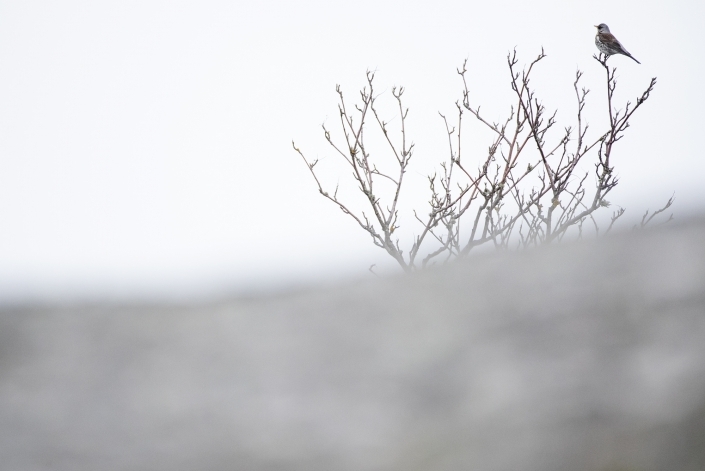 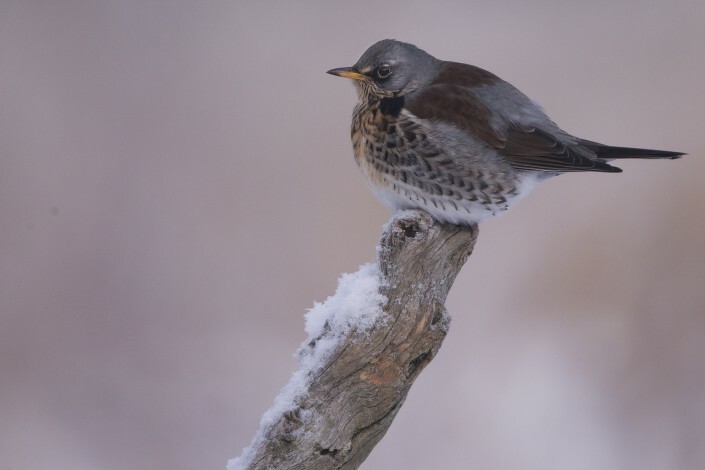 It is strongly migratory, with many northern birds moving south during the winter. 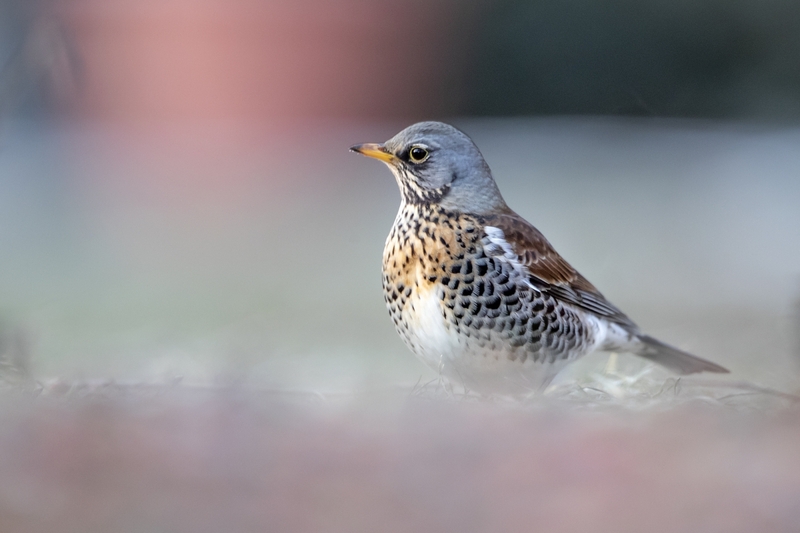 It is a very rare breeder in the British Isles, but winters in large numbers in the United Kingdom, Southern Europe, North Africa and the Middle East. 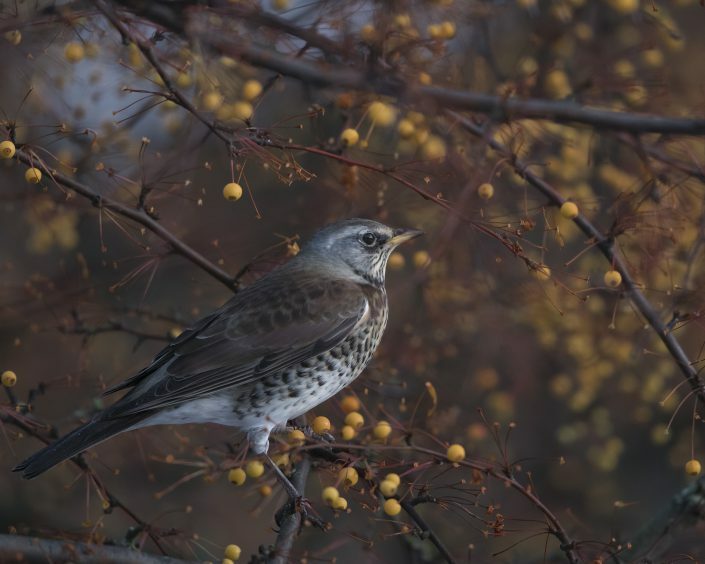 It is omnivorous, eating a wide range of molluscs, insects and earthworms in the summer, and berries, grain and seeds in the winter. 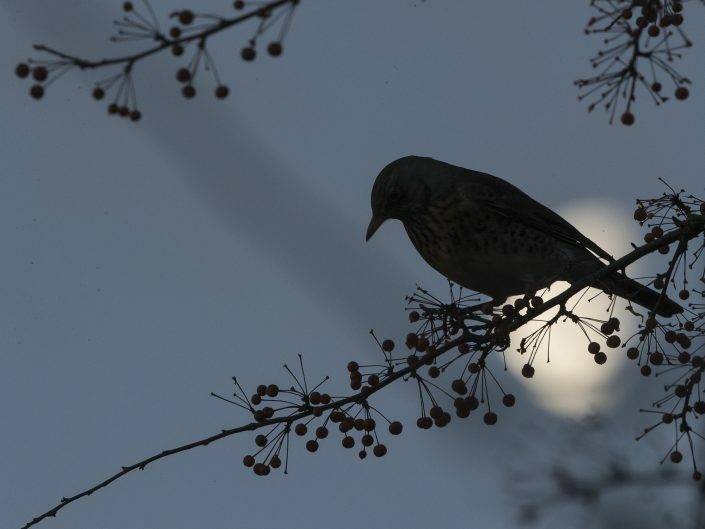 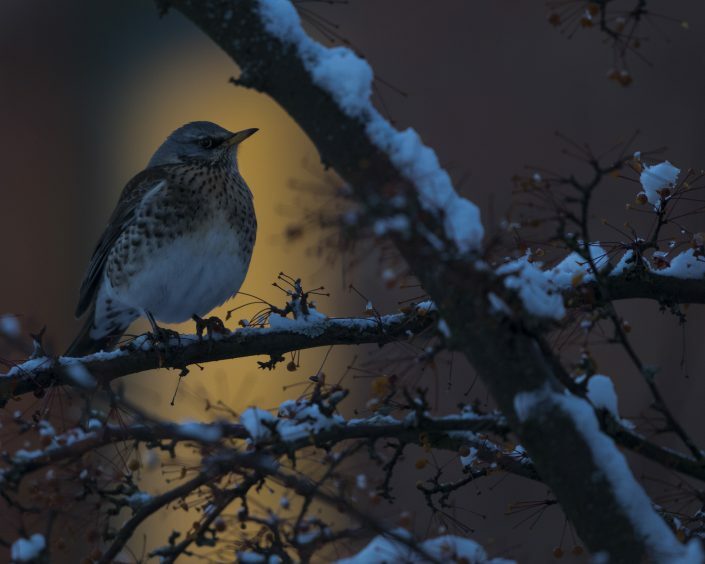 The fieldfare is 25 cm (10 in) long, with a grey crown, neck and rump, a plain brown back, dark wings and tail and white underwings. 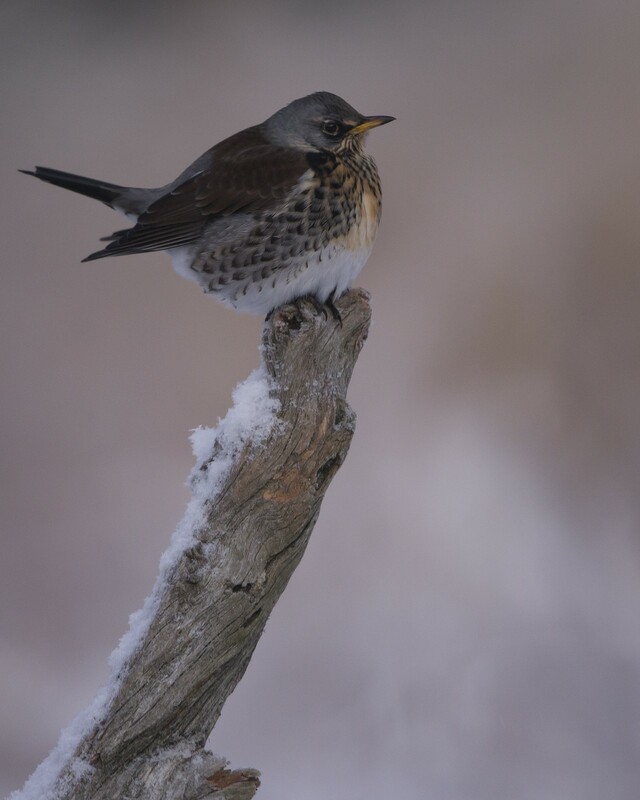 The breast and flanks are heavily spotted. 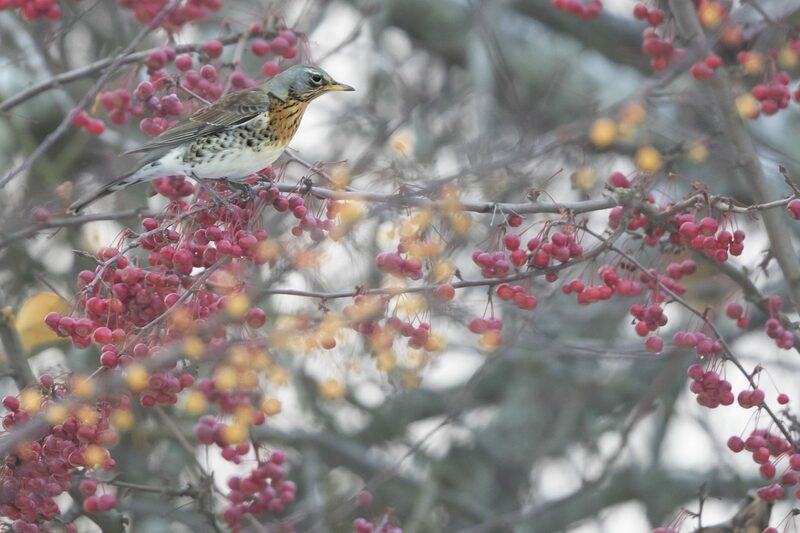 The breast has a reddish wash and the rest of the underparts are white. 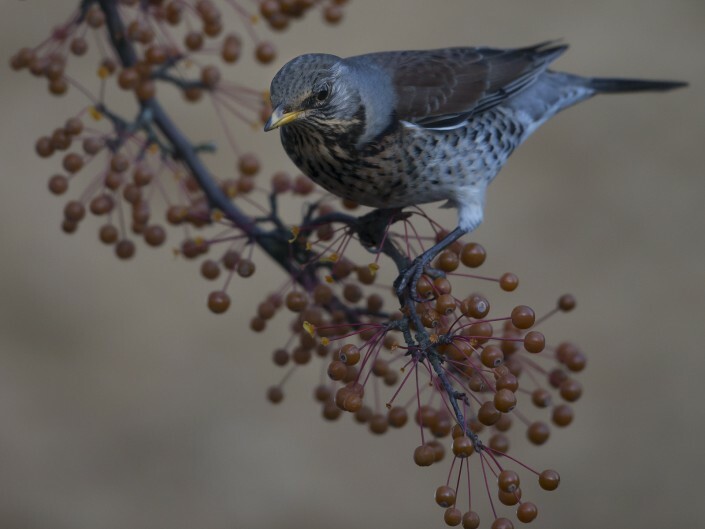 The sexes are similar in appearance but the females are slightly more brown. 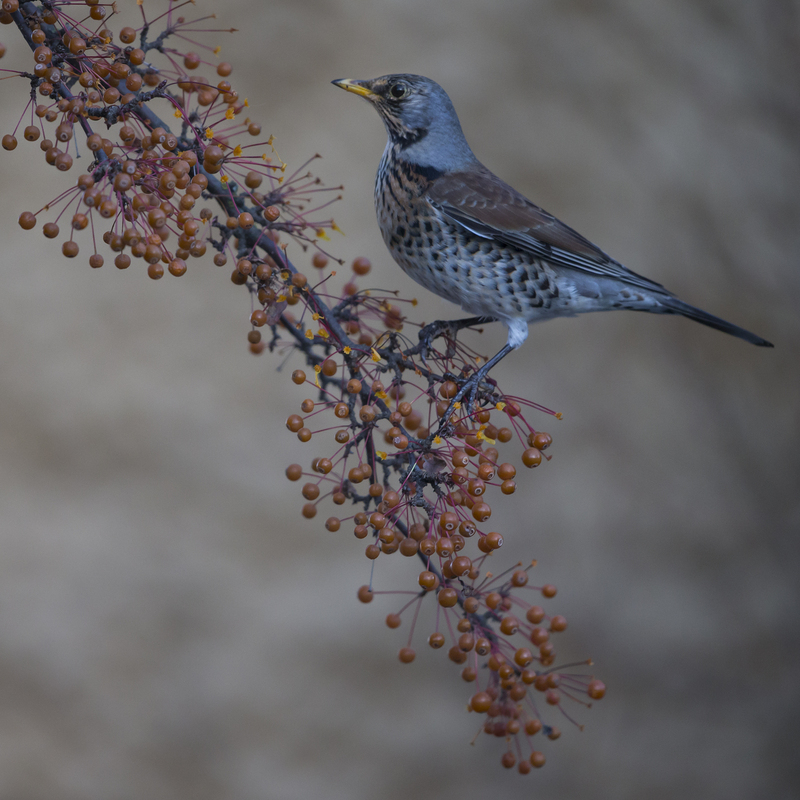 The male has a simple chattering song and the birds have various guttural flight and alarm calls. 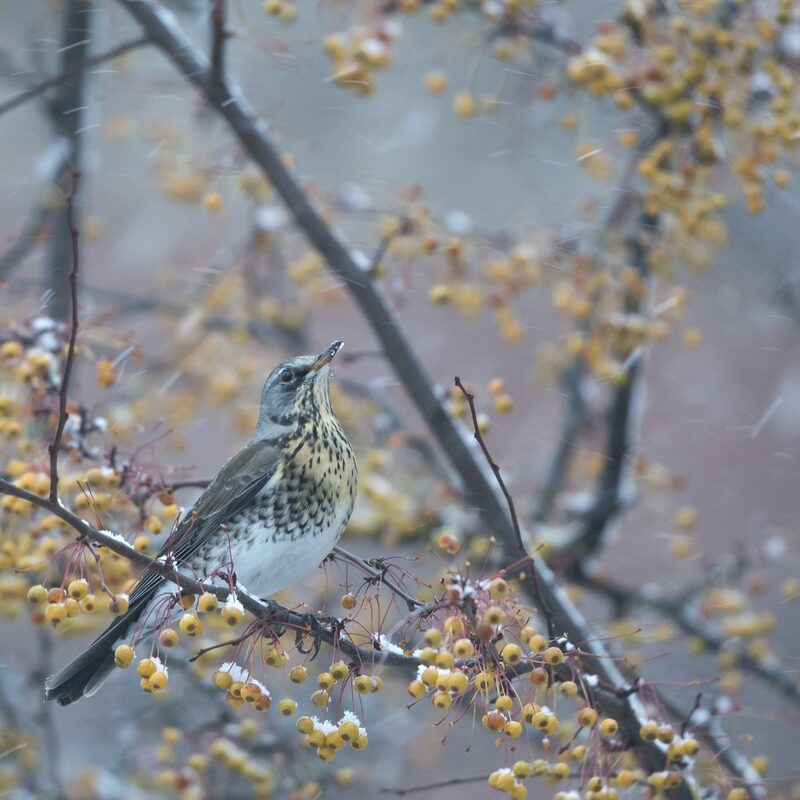 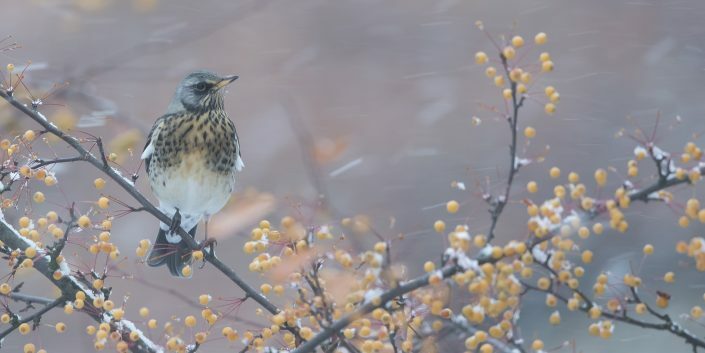 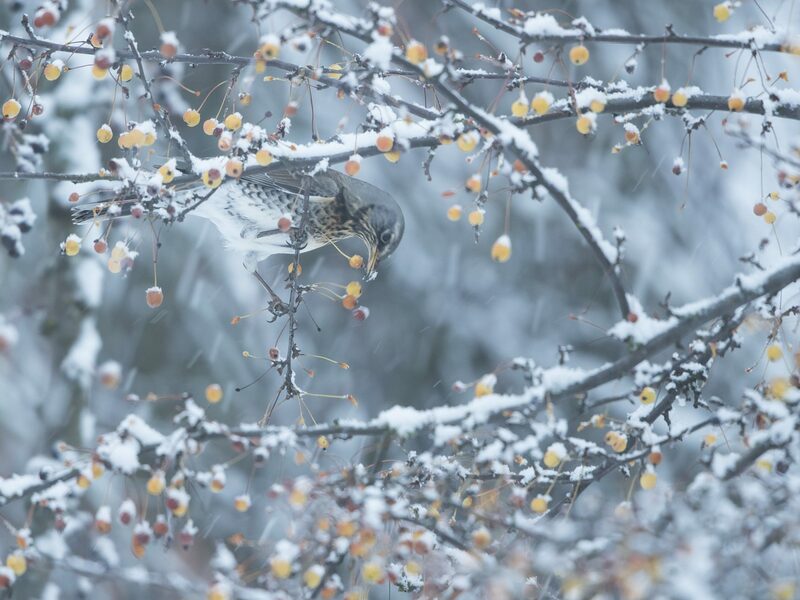 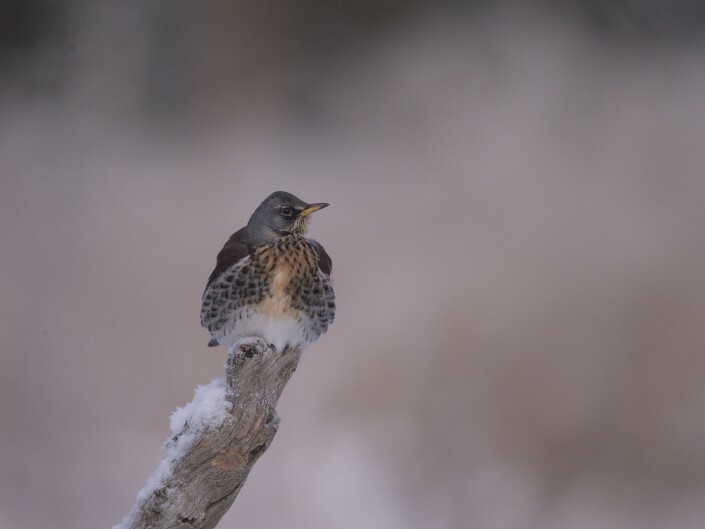 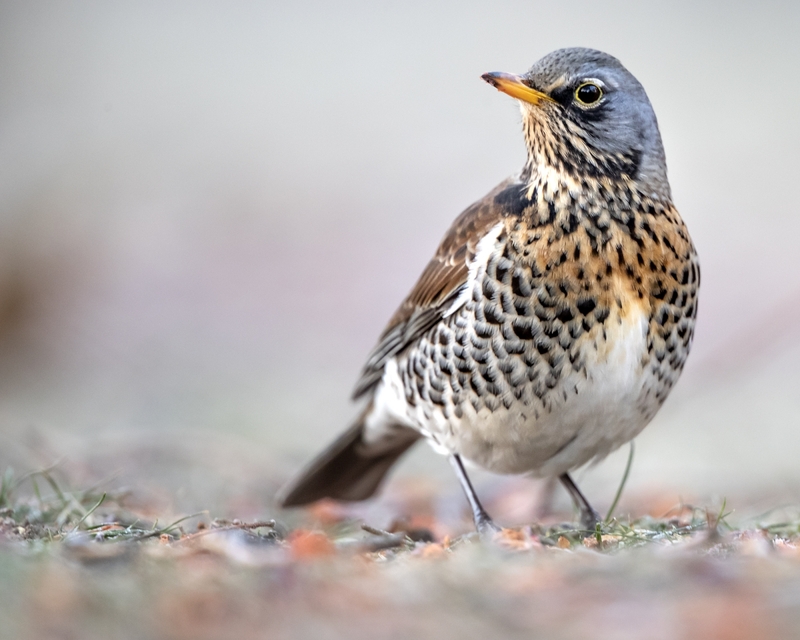 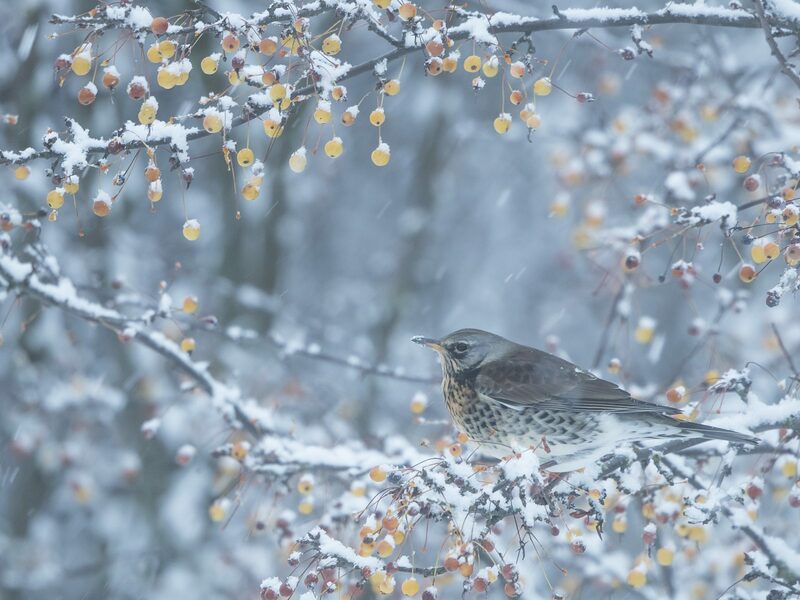 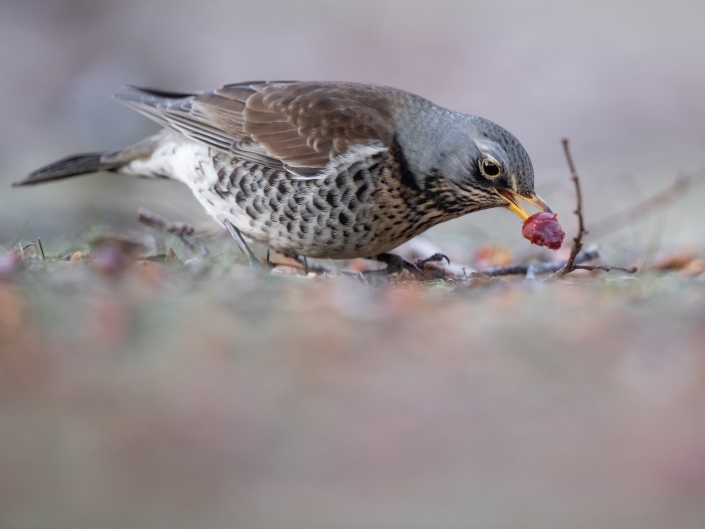 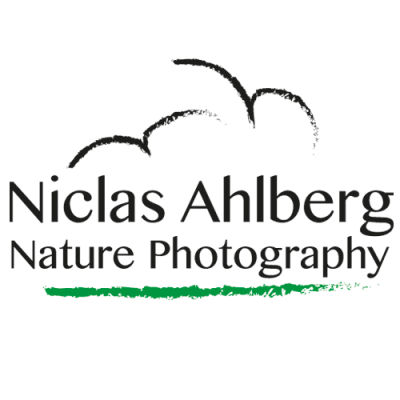 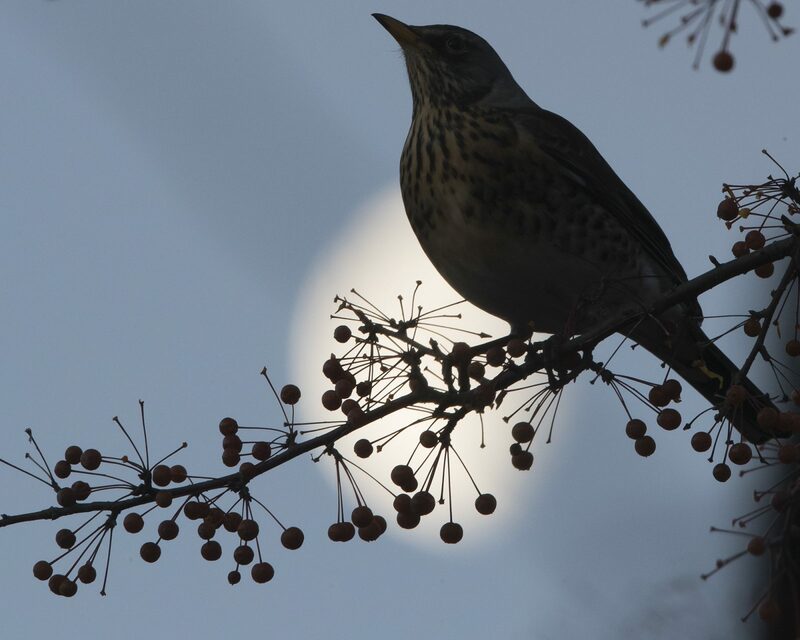 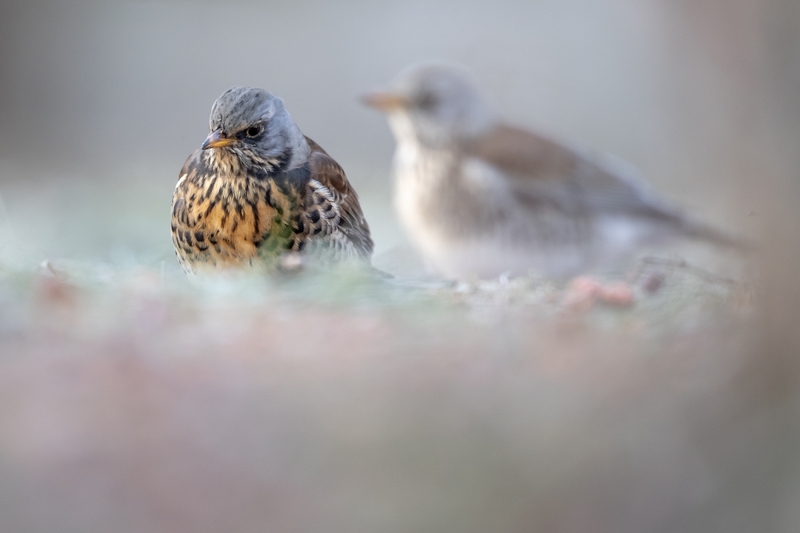 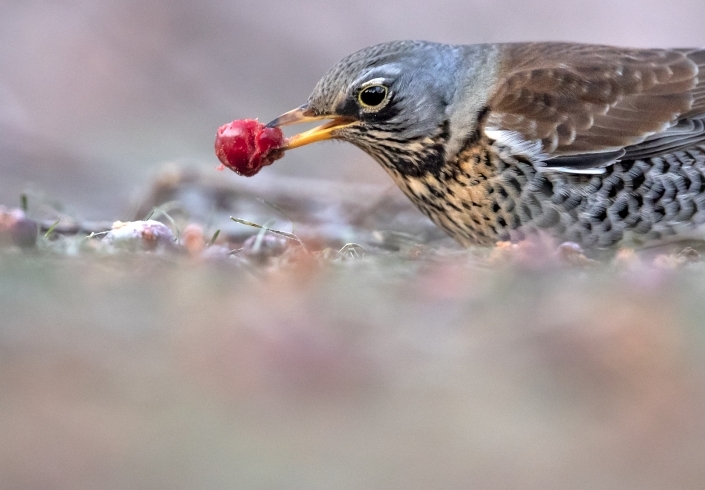 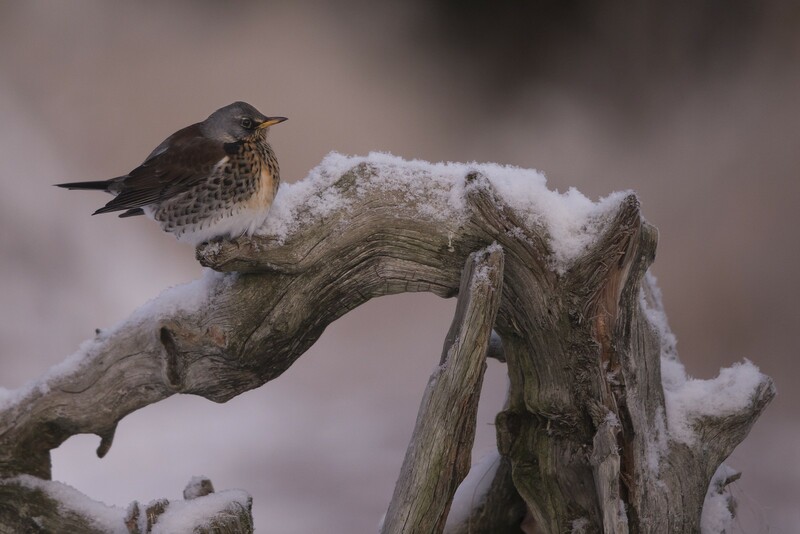 The fieldfare has an extensive range, estimated at 10 million square kilometres (3.8 million square miles), and a large population, including an estimated forty two to seventy two million individuals in Europe. There are thought to be up to twenty thousand individuals in Russia and the global population is estimated to be between forty four and ninety six million individuals.